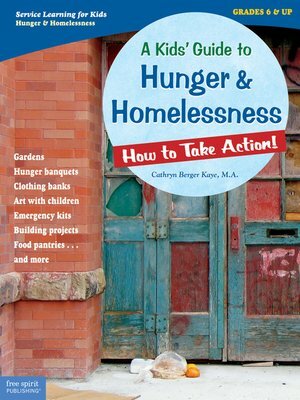 A Kids' Guide to Hunger & Homelessness · How to Take Action! Kids learn about the causes and effects of hunger and homelessness, read about what other people have done and are doing to help, explore what their community needs, and develop a service project. Includes write-on pages, resources, and a note to teachers and other adults.